EB-5 capital is a particularly attractive source of mezzanine financing for real estate developers due to low interest rates and minimal guarantees. What makes EB-5 capital a particularly attractive source of mezzanine financing for real estate developers is the low interest rates coupled with no guarantees of a return. Typically, EB-5 investments are given interest rates ranging from 1% to 6%.While any real estate project can meet the requirements of the EB-5 Program, some projects are particularly suited to this source of financing. How well a project matches the EB-5 Program will depend largely on the geographic location of the project and the employment opportunities it creates. The EB-5 Program has an investment threshold of $1,000,000 unless the project is located within an area of particularly high unemployment (150% of the national average) or that meets certain population requirements. These areas are known as targeted employment areas (TEAs) and their investment threshold is only $500,000. TEAs are determined by designated state agencies and are subject to change as unemployment rates and population change. For example, in 2015, the national unemployment rate dropped to 5.3%, and so for an area to qualify as a TEA based on unemployment, it must now have an unemployment rate of 8.0% or higher. 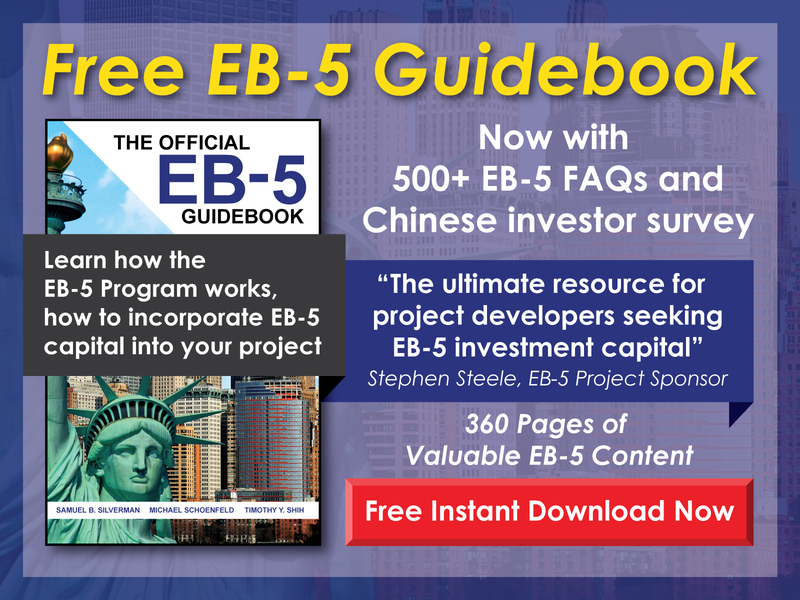 For any developer interested in adding EB-5 financing to its capital stack, project location is a vital consideration. While projects located outside TEAs can receive EB-5 capital, few projects do. For EB-5 investors, investing in a project not located within a TEA means risking twice the capital with no upside. Since EB-5 investors are seeking U.S. permanent resident status and not strong returns, they will seek projects with the lowest financial risk. Project located outside TEAs can still draw EB-5 capital, but such success is typically based upon relationships, unique project appeal, or a higher rate of return. The EB-5 Program requires that each investment produce at least 10 eligible full-time jobs. These jobs must be created within two years following the approval of the EB-5 investor’s immigration petition (Form I-526) by United States Citizenship and Immigration Services (USCIS). The way employment creation is calculated depends on the way the project is receiving EB-5 capital. If the project is receiving EB-5 capital directly from a foreign investor, only jobs created directly by the new commercial enterprise can be counted. For projects sponsored by a USCIS-designated regional center, however, indirect and induced jobs may be counted in addition to direct jobs. Direct jobs are those created directly by the project. These jobs must be full-time, permanent positions filled by U.S. workers—also, they cannot be filled by EB-5 investors or their dependent family members. Construction jobs may be counted toward the EB-5 employment creation requirement as long as the real estate construction period is 24 months or longer. Indirect jobs are those created as a result of the project’s needs. These ancillary jobs are created through the spending of project funds on materials, supplies, and any necessary services from real estate brokers, engineers, architects, etc. Induced jobs are those created by the project’s economic impact within the region as people employed by the project (directly) and those employed because of the project (indirectly) spend their money. While direct jobs can be demonstrated fairly easily, indirect and induced jobs must be calculated using accepted statistical or economic forecasting methodologies and demonstrated in a credible economic report, typically prepared by an economist. The real estate projects most likely to successfully raise EB-5 capital are those with little-to-no immigration risk. EB-5 investors will be drawn to projects that will create the necessary job cushion through construction expenditures alone. 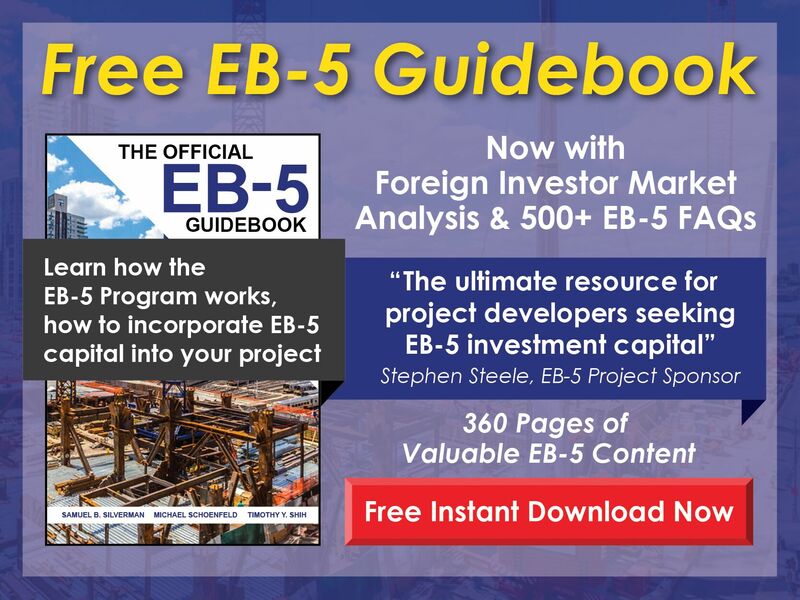 Projects with construction underway may even create the necessary number of jobs through construction expenditures before ever receiving any EB-5 capital—and if an EB-5 investors were to invest in such a project, his or her immigration risk would be effectively eliminated, which is very attractive. On the other hand, because of the constraints of the EB-5 Program, any funding or construction delays can have serious impacts on EB-5 investors. Projects with higher risks of delays, shortfalls, or overruns—and especially those that are reliant on a certain level of EB-5 capital for completion—will be less attractive to potential EB-5 investors. Employment creation is at the core of the EB-5 Program, and so real estate projects that will create (or have created) the necessary employment—and thereby have low immigration risk—are likely excellent candidates for the inexpensive mezzanine financing available through EB-5 investment.